This was one of those films that I was not sure I wanted to see. I have never been a big fan of the use of dogs in film to exploit the cheap emotional reactions. A Dog’s Purpose springs to mind immediately, and the trailers made me think that Megan Leavey would fall right into the same camp. However, I must say, that I did enjoy this movie way more than I thought I was going to and I am glad that I ended up attending it. 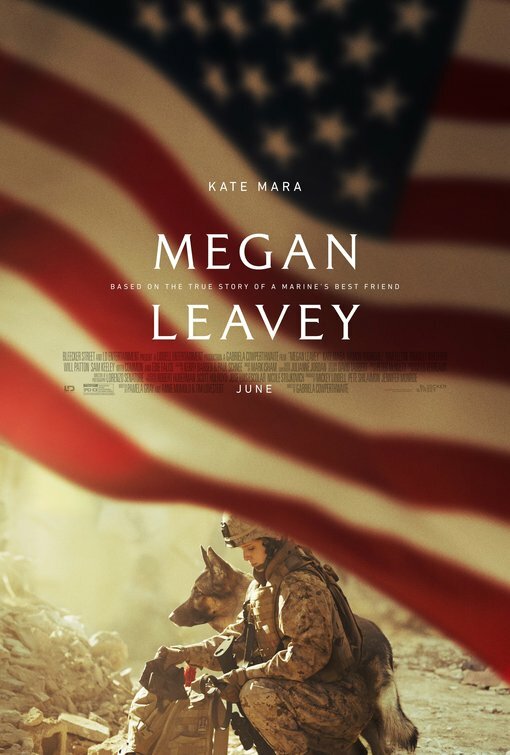 Megan Leavey is based on the true story of a New York woman who joined the Marines to get away from a bad home life, and wound up bonding with a bomb-sniffing German shepherd named Rex. Rex had become known as a violent dog, going as far as, with a bite, breaking six bones in his most recent handler’s hand. Megan and Rex, however, connected and became war heroes by saving many lives in Iraq. Some of the scenes in Iraq were the best of the movie. Watching how these dogs would perform their tasks, out in front of the actual armed military, sniffing for bombs planted in the area was extremely impressive. These K9 units are amazing with what they are able to accomplish and it is not out of line to call these dogs heroes. Although the film focused on the central relationship between Rex and Megan, it also developed quite a bit about Megan’s life before the dog and after the dog. We meet Megan’s family, and we get to see a relationship with a fellow dog handler. All of these moments helped to create the character of Megan Leavey. Yes, I think sometimes the display of the character of Megan was inconsistent, skipping some aspects of the development. At times some of the character development felt rushed. Despite that, the story the film tells is one of heroism and how a positive connection can change someone’s life for the better. It just happened that this transformative relationship in the film was between a woman and her dog. Kate Mara does an admirable job as Megan Leavey, showing us the troubled back story as well as the powerful after effects brought on by the dangers of war. Some of the better scenes in the film were the ones after Megan returned from the war and was separated from her friend Rex. Tom Felton does great as a marine trainer named Andrew and Bradley Whitford is almost unrecognizable as Megan’s father Bob. I remember thinking that I really enjoyed that character’s performance and, when I saw the name Bradley Whitford in the credits, I understood why. He never gives a bad performance. Common is also strong here as Megan’s marine boss Gunny Martin. The film might be a touch too long, but I am not sure what I would leave out. Though much of the film does a good job providing narrative to Megan’s life, the main crux of the film is the relationship between Megan and Rex, and this is where the film rises above other films like this. The emotional beats felt real, not forced upon us like in some other films (e.g. A Dog’s Purpose, and they show the bond between woman and dog. It is very believable and, at times, inspiring. I did not think I wanted to see Megan Leavey, but I am sure glad I did.